Now in brushed nickel! 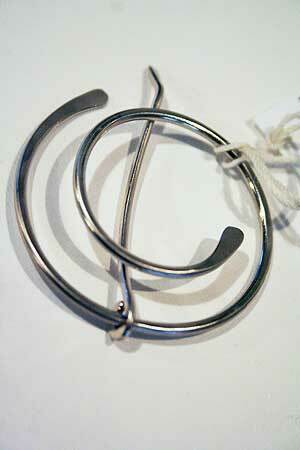 Light and easy to use on your hand made pieces, it is an elegant swirl of hand wrought nickel with a brushed finish. The stick portion is attached to the pin and slides around to lock. Measurements are approximately 2 inches x 1.75 inches. All pins are hand made and will vary slightly in appearance.